Must Have! 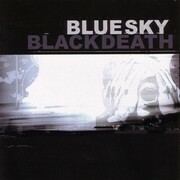 Blue Skies Black Death step on the scene with their double cd debut release, A Heap of Broken Images. Comprised of producers Kingston and Young God, this San Francisco tandem explores the nether regions of brooding hip-hop, meshing dark samples, vocal snippets and live instrumentation into an album that holds its mood from start to finish. The first CD is comprised entirely of dense instrumental music, while the second caters its song structure to the emcee. Jus Allah, Wise Intelligent (Poor Righteous Teachers), Sabac Red (Non-Phixion), Guru (Gang Starr), Chief Kamachi, A-Plus (Hieroglyphics), Pep Love (Hieroglyphics), Rob Sonic, Virtuoso, Mikah-9 (Freestyle Fellowship), Awol One, and Holocaust (Wu-Tang affiliate) are all featured. With this deep line up of collaborations, A Heap of Broken Images spans the wide spectrum of hip-hop sound with stirring cohesion. - "The Dead Tree Gives No Shelter"